#10. On February 18 Twenty One Pilots & Judah and the Lion, aka the “EMØTIØNAL RØADSHØW,” will be playing at Mandalay Bay. This show is a collaboration between two highly regarded alternative bands rising the charts. Twenty One Pilots is a duo from Columbus, Ohio. Their hit “Heathen” rose the charts right along with the movie the song was written for; Suicide Squad. Judah and the Lion is increasing in popularity thanks to it’s chart climbing single “Take it All Back.” They are a band from Nashville, Tn consisting of four members; Judah Akers, Brian Macdonald, Nate Zuercher, and Spencer Cross. 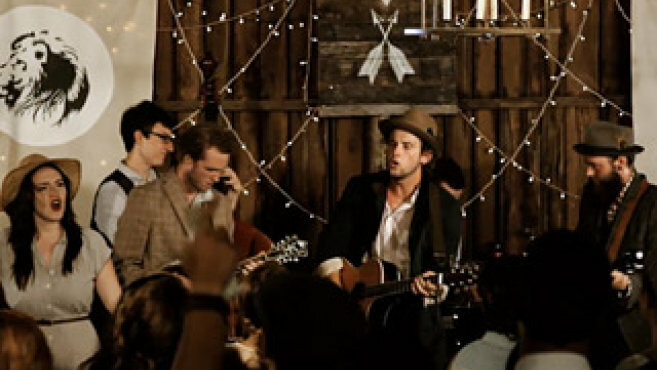 They have hits in Bluegrass, Folk and the Alternative charts. #9. Celine Dion’s concerts are scheduled for January 17-31, February 1-4, April 4-22, May 16-31, June 2-3, 2017 at the Colosseum at Caesars Palace. Celine Dion is no stranger to Las Vegas and her return is always welcome. After a year hiatus following the death of her husband she is returning to continue performing. The show boasts a full orchestra and band as well as amazing wardrobes privately designed and developed by her stylists. They say that Atelier Versace, Elie Saab and Mugler assisted with the outfits as well. #8. 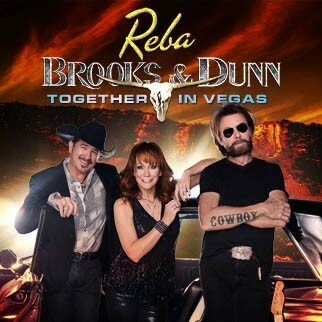 Country superstars Reba McEntire, Brooks and Dunn will be in Las Vegas on February 22nd through the 25th at the Colosseum at Caesars Palace. You won’t want to miss this star-studded country music partnership. Reba has attained 35 number 1 singles and sold over 56 million albums all over the world. 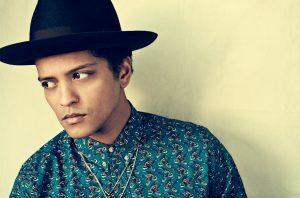 She will be sharing the stage with the also impressive Books and Dunn who have sold over 30 million albums worldwide. Brooks and Dunn is currently the most-awarded act in American Country Music history. You will not want to miss this country spectacular! #7. On May 28th New Kids On The Block, Paula Abdul & Boyz II Men will be in Las Vegas at the T-Mobile Arena. If you are a fan of 80s/90s pop music you will not want to miss this show. It is very unlikely we will see these musicians together again in our future. 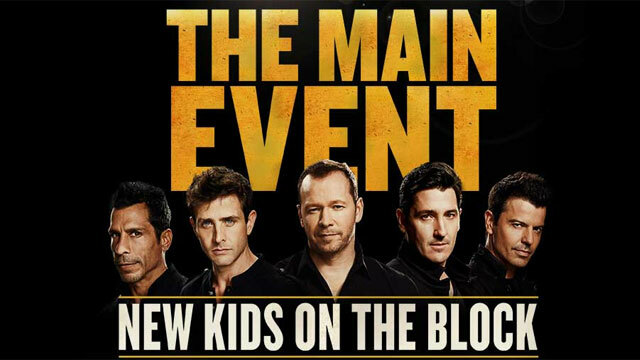 New Kids on the Block biggest hit was “Step by Step” and made number one in 1990. Paula Abdul’s biggest hit was “Straight Up” and topped the hits chart in the late 80s and early 90s. She is also well known for being a dancer, choreographer, actress and television personality. Boys II Men was a chart topping 90s R&B group whose number one hits were “End of the Road,” “I’ll Make Love to You” and “One Sweet Day.” You won’t want to miss this epic show! #6. Elton John’s next visit in Las Vegas will be on December 28-31, 2016, January 1 and February 7-20 at the Colosseum at Caesars Palace. 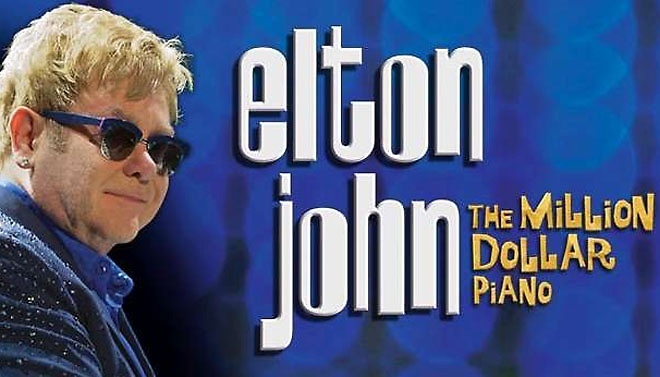 Elton John: The Million Dollar Piano is a magnificent show that will not disappoint. Elton John’s fame spans five decades and his exceptional piano skills should not be missed. Elton retains the record for the largest selling single of all time, “Candle in the Wind” which has sold 37 million copies. You will not be disappointed; visit Caesars Palace and enjoy this momentous show. #5. Britney Spears’ upcoming Las Vegas concerts are on January 17-28, February 1-4, March 22-31, April 1-8 and May 3-20, 2017 at Planet Hollywood Resort & Casino. Britney Spears has announced that she has extended her Las Vegas residency show for another year through to the end of 2017. There are many times throughout the year you will be able to see her but make sure to book your show before the year ends! #4. February 4th Ariana Grande will be at the MGM Grand Garden Arena. Her 2017 tour “Dangerous Woman” will be in Las Vegas for only one day. You will want to purchase your tickets now so you have the opportunity to see her shine in Vegas lights. Ariana is known for her pop music and ability to act both on Nickelodeon and on Broadway. She will have a theatrical performance that is sure to please. #3. Jennifer Lopez is scheduled for Las Vegas on December 9-17, 2016, February 8-25, May 24-31, June 2-11, September 6-30 and October 4-7 at Planet Hollywood. She will be at the Axis multiple times this year so like Britney Spears you will have many dates to choose from. She is most popular for her chart topping hits from the 90s and early 2000s, including but not limited to “I’m Real,” “Aint it Funny,” “If You had my Love” and more. #2. Mariah Carey will be stopping by Las Vegas on July 8th through the 18th at the Colosseum at Caesars Palace. Her “#1 to Infinity Tour” will be in Vegas for multiple days as well so there will be much to choose from. This show was designed exclusively for the Coliseum so you won’t want to miss the amazing theatrics that is awaiting.